Carl Rich joined our staff in February of 2015. He and his wife Leah, his high school sweetheart, have two amazing kids, Carli & Tyler, and have been attending C3 since moving to Frisco in 2007. Carl came to know Christ while in high school and has been faithfully serving the Lord in various ministry capacities since then. While he felt a call to full time ministry as a teenager, it wasn't until February in 2015 when God's full calling on his life came to fruition. Carl is passionate about serving the Lord, the family of Christ and especially disciplining students as they seek to find God's path for their life. Mackenzie Gunter joined the C3 staff in June of 2017. 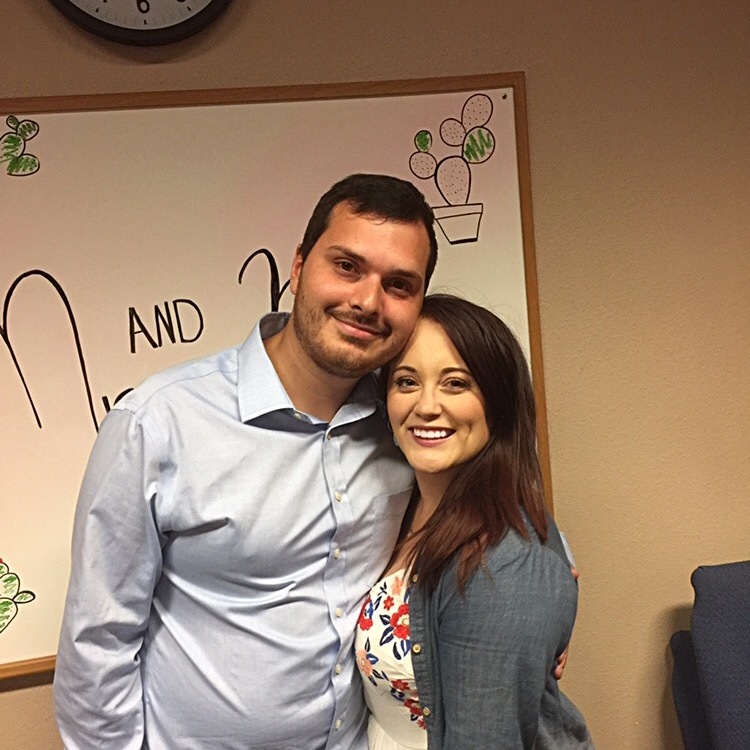 Her and her husband, Jeremy have been attending Cornerstone since early 2016. Mackenzie came to know Christ as a senior in High School but found her passion for ministry while serving with a Non-Profit organization, House of Faith, for 2 years. Mackenzie is passionate about serving God, his children, and bridging the gap between children, youth, and families. David is passionate about using music to help people connect with God. He feels that musical worship is a way to show our love for God, but it is also a beautiful way to experience His love for us. David has been playing guitar since his 15th birthday many years ago and has been singing since he was a little boy. His wife, Kellis, and his sons, Zachary and Benjamin, are his biggest supporters and his three favorite people to take to Chipotle and Starbucks. Zachary and Benjamin both love listening to their daddy play guitar and sing, especially the songs from the Guardians of the Galaxy soundtrack. No worries - they like church music too. Kim Walker is the Business Administrator at Cornerstone. Her and her husband have been married 20 years and have three beautiful children. They have called C3 their home church for the last 6 years and over the past 20 years Kim has served in ministry from Children’s Church to most previously teaching Pre-K at Bright Beginnings KDO.